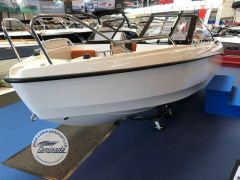 The Bella 550 Bowrider is ideal for narrow spaces and trailers. 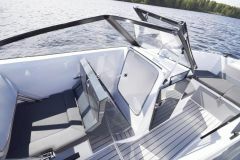 Its sleek hull offers plenty of space in this class and many practical solutions, such as a large seating area that can be transformed into a sun lounger in no time, an offshore driver's seat and an easily accessible front cockpit. 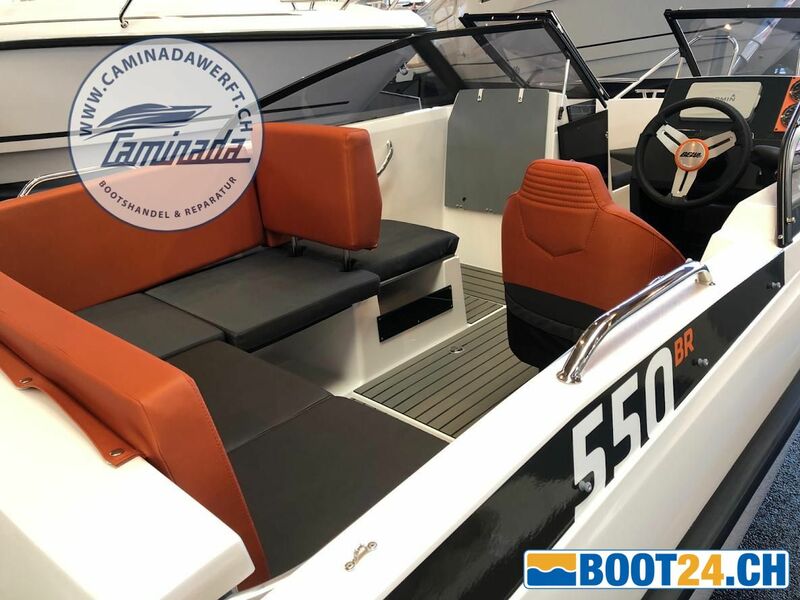 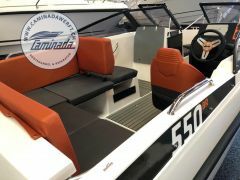 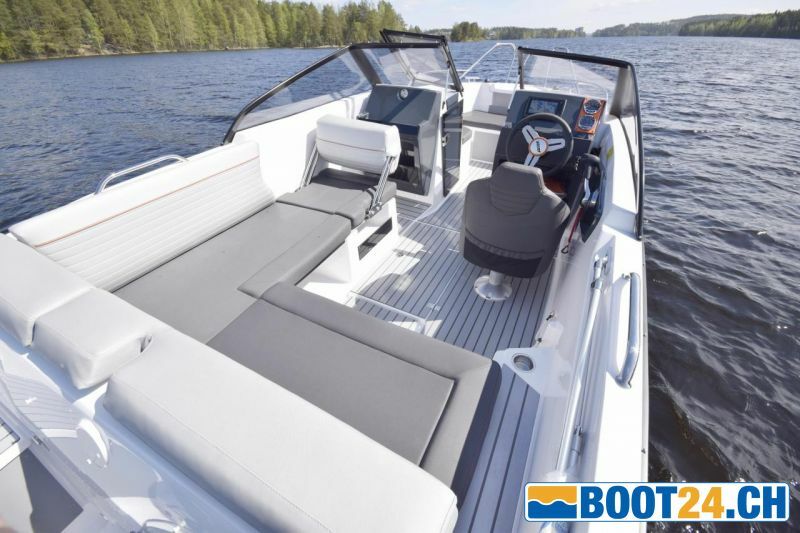 The layout of the Bella 550 BR is made for beautiful hours on the water and offers plenty of storage space and a number of features that have already proven in larger boats. 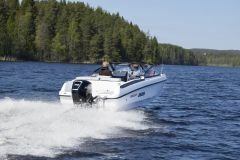 The design of the new Bella 550 BR is the result of modern thinking, where the joy of boating is in the foreground. 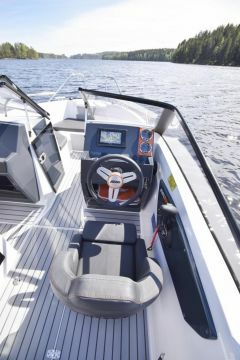 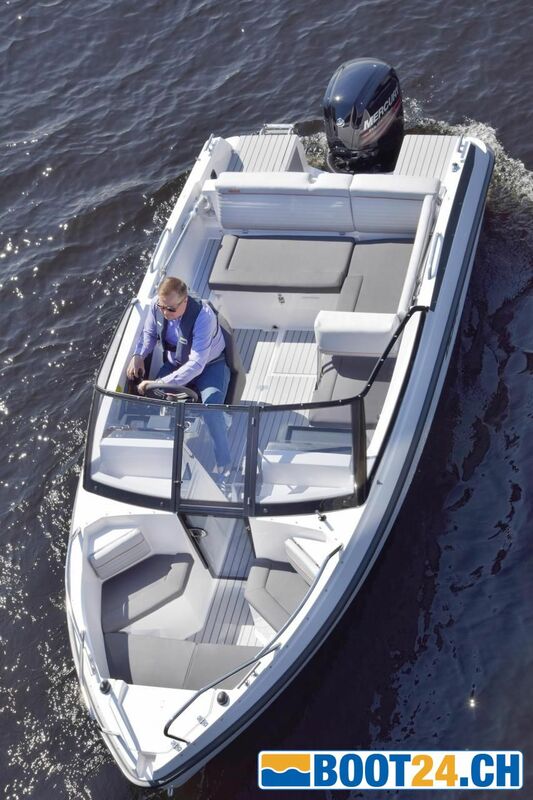 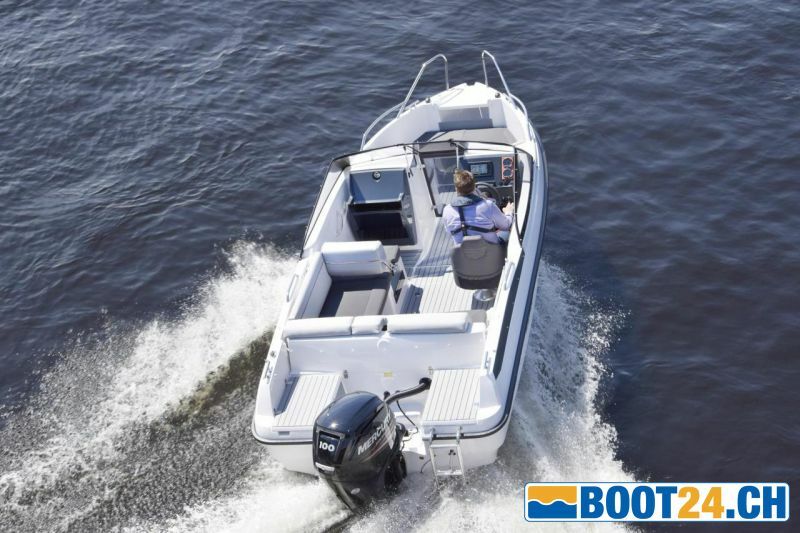 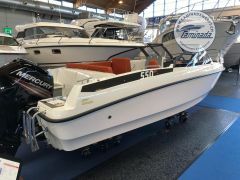 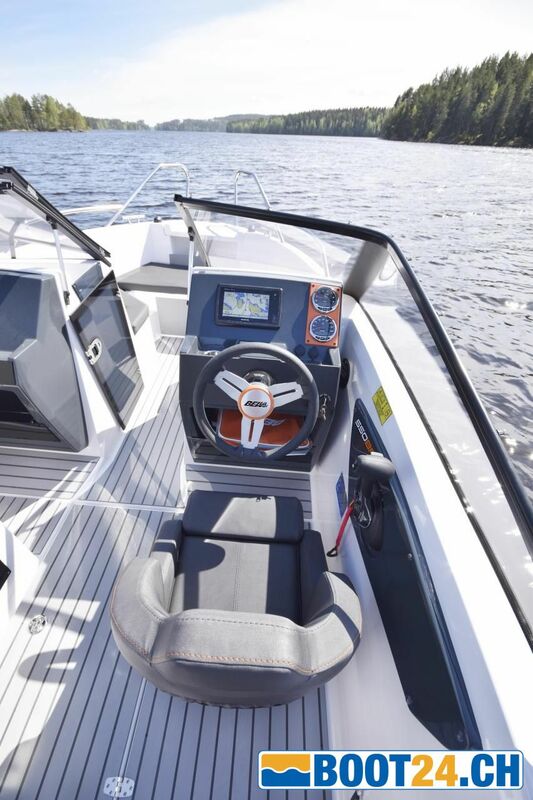 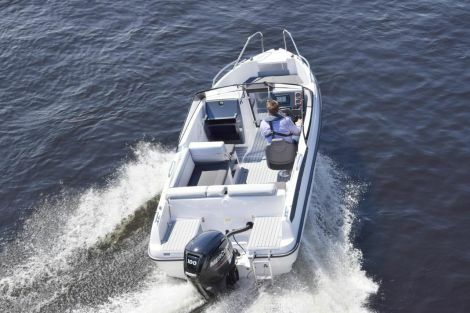 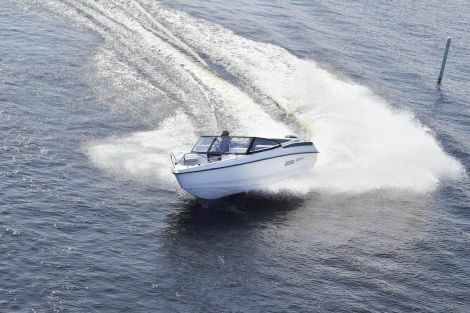 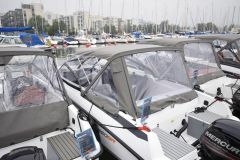 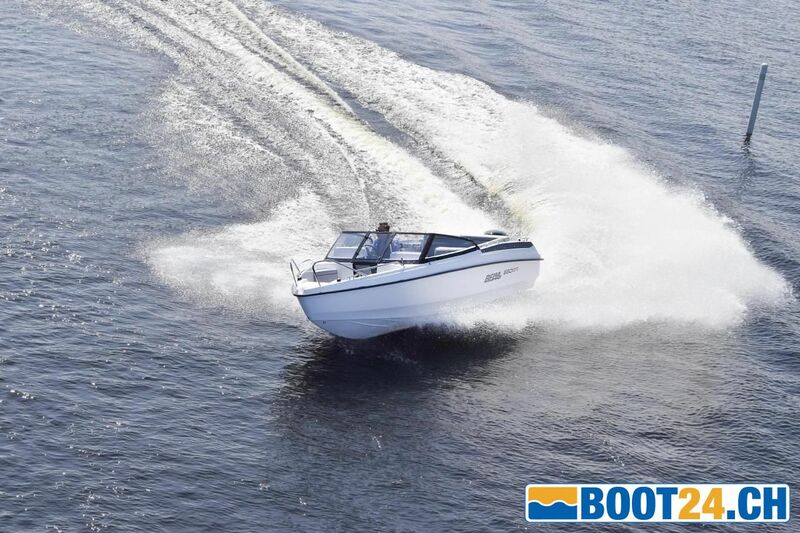 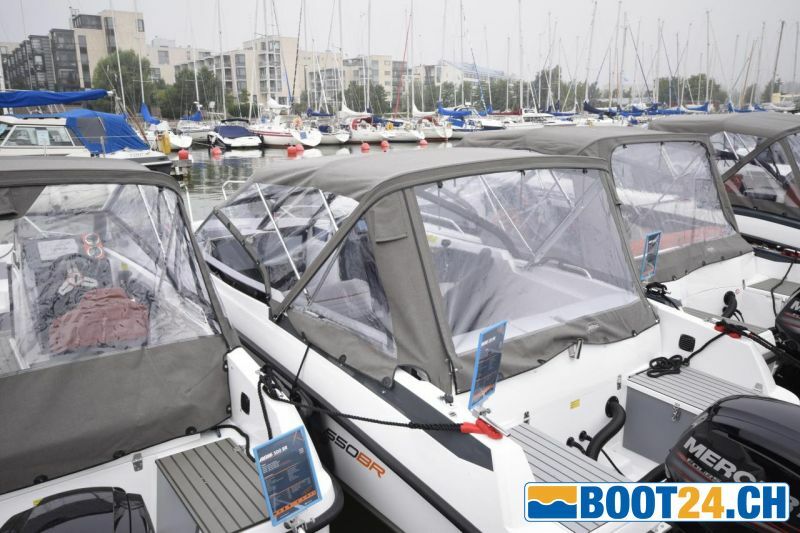 The boat's sturdy hull offers safe handling and the large windshield in combination with the easy-to-open convertible top makes every ride a pleasure. 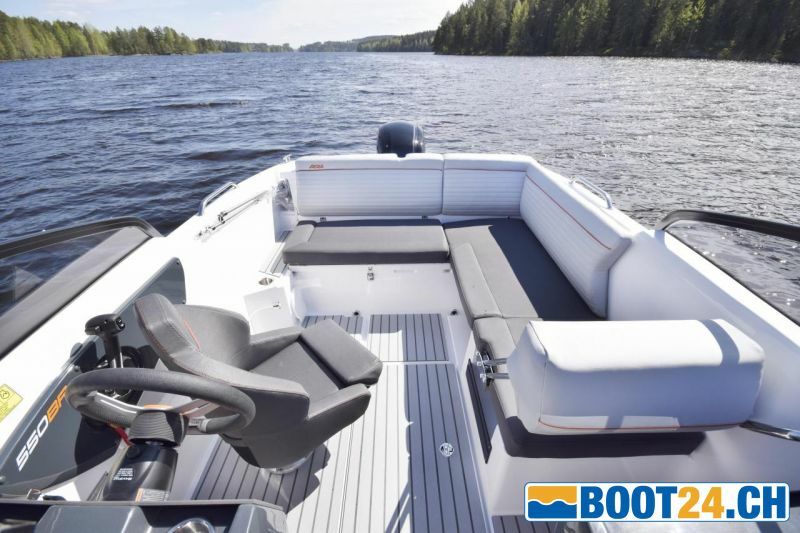 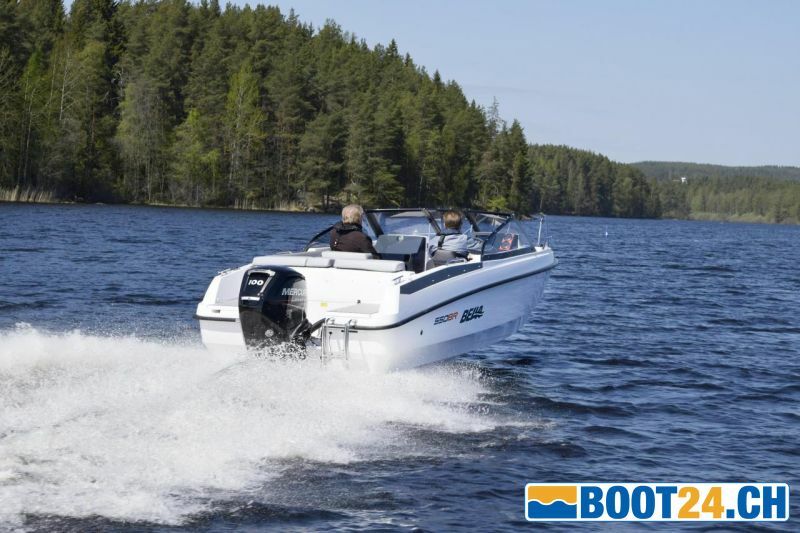 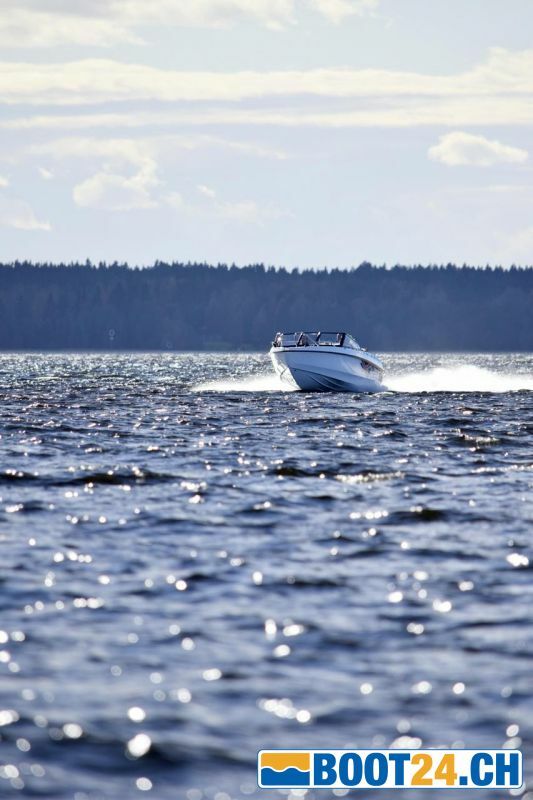 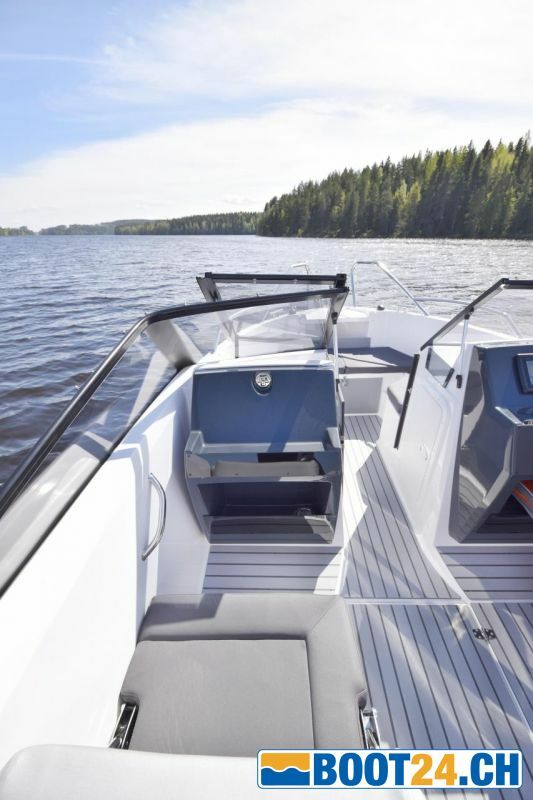 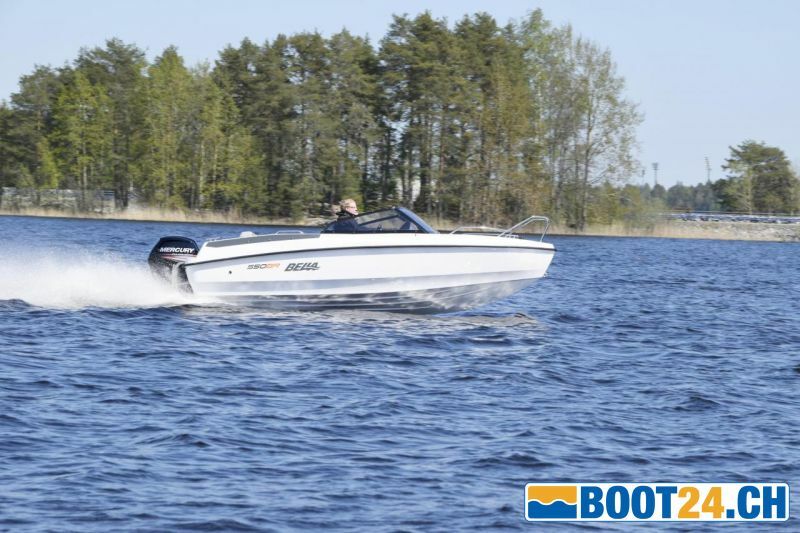 The new Bella 550 BR is a modern and versatile boat with no compromises, with practical solutions such as built-in fender holders, a sunbed and plenty of storage options, all in the modern, Nordic cool Aspen Thorup design. 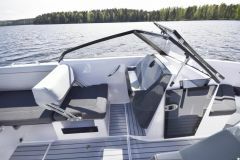 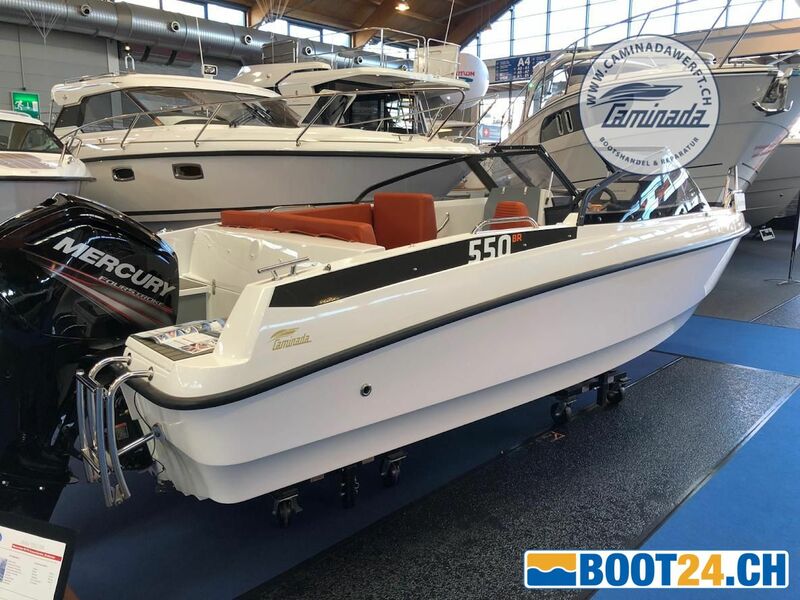 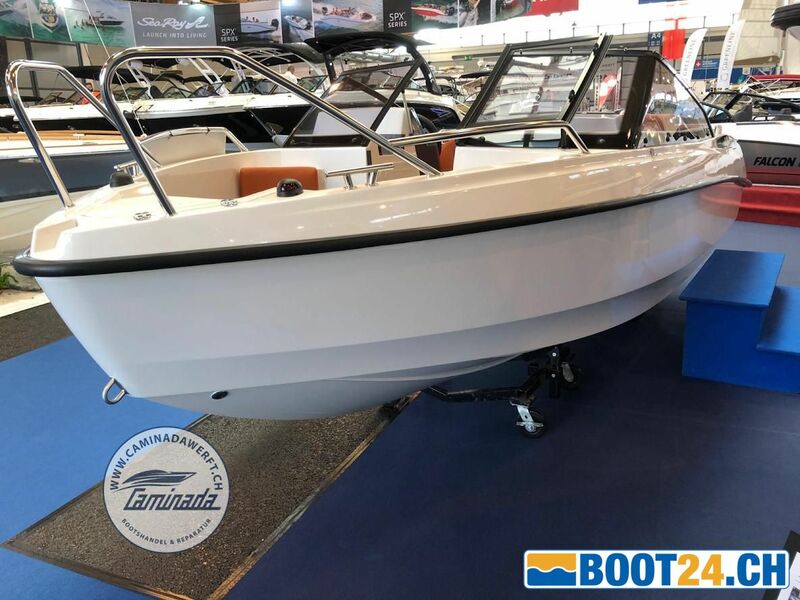 The stable hull of the Bella runs effortlessly even with smaller engine and the driving characteristics are characterized by controllability and driving pleasure. 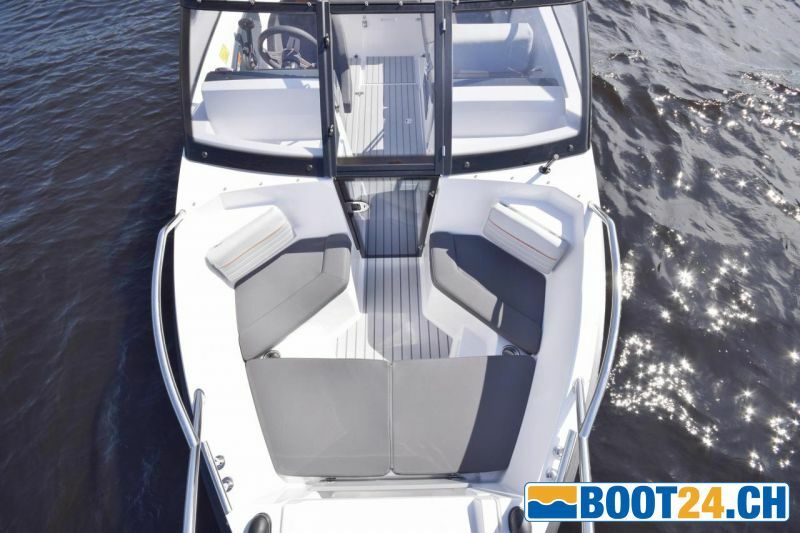 The Bella 550 BR is a compact, cool bowrider where we put a lot of emphasis on functional solutions so you can spend relaxed sips on the water.